After having inventoried with you the belongings to be stored, the advisor will estimate the size of the box you might need and will provide you with the cost. He or she will explain the lease guidelines, supporting documentation required and insurance required to secure the contract. Free, self-service handling equipment is made available by the center for transporting your belongings: trolleys, trucks, forklifts. Moving supplies are also offered at a special price: moving boxes, tape, paper. Each rented box will be fitted with a padlock, for which you will be the sole key holder. Furthermore, the center is equipped with alarms and surveillance cameras. 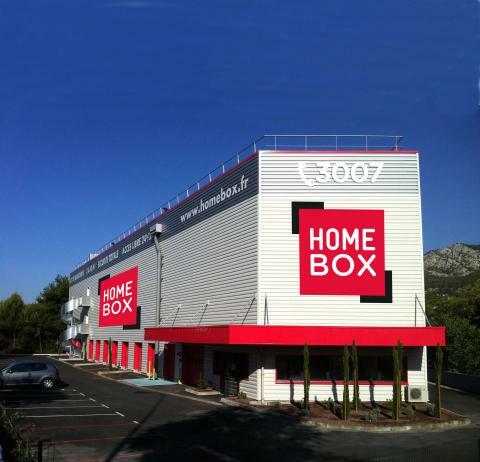 The majority of HOMEBOX centers have 24/7 access. On renting your box, you will be assigned a personalized code that will enable you to access your box outside of opening hours.